With e-liquid vapes, one of the best things is trying out different flavors to see what your personal preference is. There are plenty of options for all sorts of wacky taste, but for a lot of people, the best flavored e-liquids are those that resemble the taste of tobacco. A lot of people who start vaping come over from smoking cigarettes and other tobacco products in an effort to make themselves as healthy as possible, but this transition process can often be extremely difficult. However, thanks to e-liquids that taste like tobacco, this process can be made quite a bit easier and stress free. While there are plenty of tobacco-flavored options out there, finding the best tobacco e-liquid can sometimes be a bit difficult. There are tons of choices and options to pick from, and while a lot of consumer choice is always a good thing, that doesn’t mean that all of these will scratch that tobacco itch. In this list, I’ll be talking about the best tobacco flavored e-juice options that money can buy. There’s a bit to talk about in this one, so let’s get things started. Sweetened tobacco blend with sweet vanilla. Fruity notes of banana with a sweet tobacco taste. E-liquid that’s made from two different tobacco blends. Subtle sweetness and soft tobacco flavor. Tobacco flavor with a strong hint of graham cracker and chocolate. 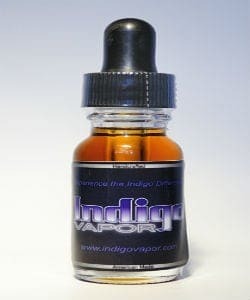 The first e-liquid that I want to take a look at is Eclipse. 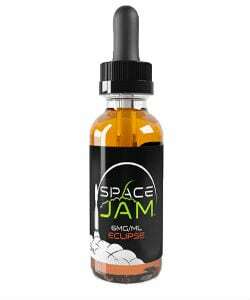 Eclipse is made by Space Jam, and in the world of tobacco-flavored juices, this is easily one of the most popular choices out there. The blend that Eclipse kicks out is actually a sweetened blend of tobacco, as there’s a very strong hint of vanilla custard layered over the entire experience. What’s great is that the vanilla tones taste very authentic and not artificial in the slightest. This does create for a tobacco taste that’s likely won’t be the go-to choice for those that are looking for the absolute purest tobacco flavor, but even with that being the case, there sure is a lot to love with this one. Eclipse is available in a 50/50 PG/VG ratio if you’re interested in buying it, and the five available nicotine levels range anywhere from 0 up to 18 mg/ml. Candied Cavendish is another item from the best tobacco e-juice list. It has gained a lot of popularity in the vaping community, and uses the naturally-extracted tobacco blends. The overall taste that you get here is much more similar to what you’d expect from a normal cigarette. The realistic flavor that Candied Cavendish is able to pull off is nothing short of amazing, and it really is one of the best options you have if you’re looking for an ultra-realistic tobacco flavored e-liquid. Candied Cavendish even want a Spinfuel Choice Award back in 2013, so there’s proof right there that this is a flavor that’s a fan of lots of people. Another great aspect has to do with nicotine ranges. You can get Candied Cavendish is six nicotine levels ranging from 0 up to 24 mg/ml, making it a nearly perfect option for people that want an honest to goodness tobacco flavor. Continuing my list of the best menthol tobacco e-liquid flavors, we’re looking at an e-liquid with the name of OOHRAH!. OOHRAH! is a type of vape juice that’s actually been created from two different blends of tobacco, with the two most notable flavors in the e-liquid being that of graham cracker and also chocolate. This might turn some people off who are looking for a more traditional tobacco flavor, but the chocolate and graham cracker hints are actually quite subtle and really do add quite a lot of flavor that blends perfectly with the earthy tobacco tones. Just like the Candied Cavendish before it, OOHRAH! is available in six nicotine levels that range in a ratio between 0 and 24 mg/ml. This is a great example of how sweeter flavors can greatly compliment traditional tobacco, making it one of my personal favorite options. If that chocolate and graham cracker flavor still sounds a bit too out there for your tastebuds, then you’ll probably want to check out Prelude. Prelude is one of the most popular choices for people looking for a no-frills tobacco flavor profile, and although it may not be as exciting as some of the other options on this list, it still has a lot of good tastes to offer. A Virginia tobacco blend is used to create Prelude, and while you won’t find as robust of a flavor profile here, Prelude does an excellent job at mimicking the real flavor and taste of natural tobacco. The overall taste is somewhat soft and subtle, but it’s something that a lot of folks out there simply can’t get enough of. Rounding out my list of the most delicious tobacco e-juice options is Boba’s Bounty. Boba’s Bounty is something of a legend when it comes to tobacco flavored e-juices, and that comes with very good reason. Boba’s Bounty is somewhat hard to describe as to what it actually tastes like, but the best way to put it is as another combination of both chocolate and graham cracker once again. This is another option that likely won’t be a final solution for people who want as realistic and natural of a tobacco flavor that they can get, but if you’d like to try something that takes normal tobacco and kicks it up a notch with some additional flavor notes, then Boba’s Bounty is certainly worth checking out. Overall, there are a lot of really good options to choose from if you’re looking for the best tobacco flavored e-liquid. There are lots of choices if you’d rather have something that’s more of a natural tobacco flavor, and plenty of other options for things that take tobacco to the next level. However, no matter which of these flavors you decide to go with, know that you’re getting some of the best that money can buy.